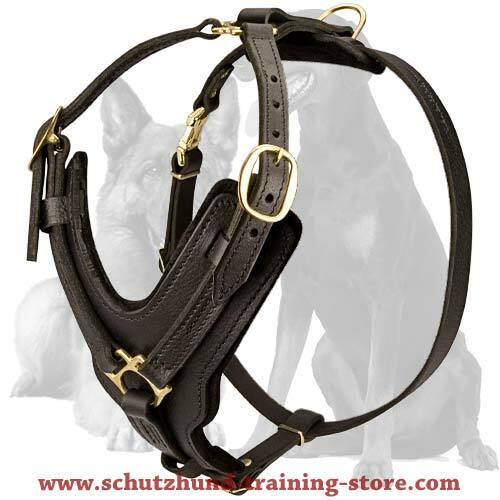 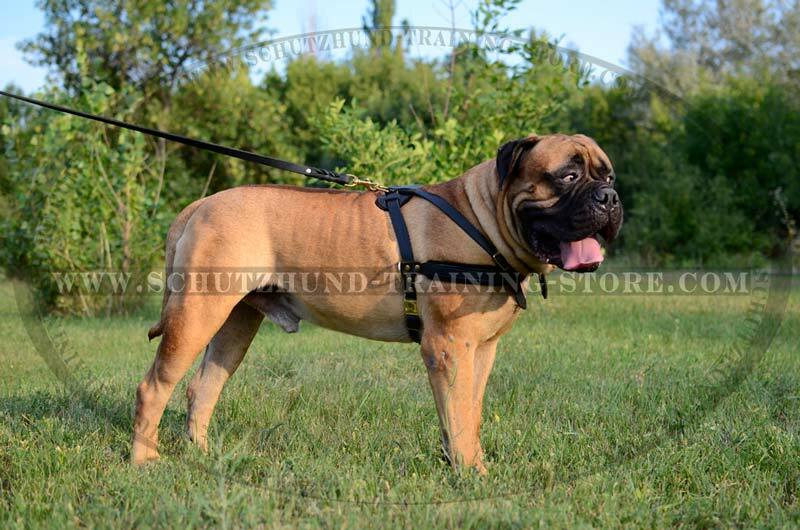 This full grain leather harness is extra durable and strong. 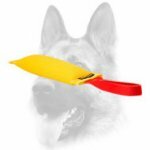 It doesn't only look luxury - its a real first class tool for dog training work. 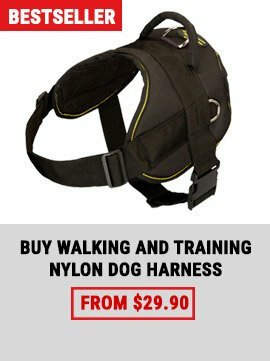 Due to special shape of a chest plate and thick felt padding the harness provides comfort for a dog and solid brass fittings protect his hair from discoloration. 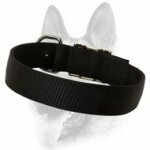 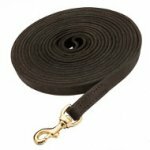 This collar is made of thick 2 ply premium full grain leather. 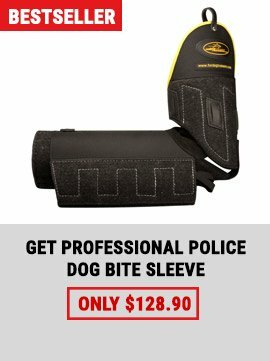 It is extra durable and strong. 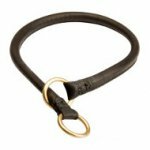 Buckle and D-ring are made of brass. 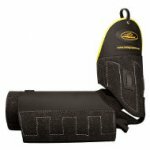 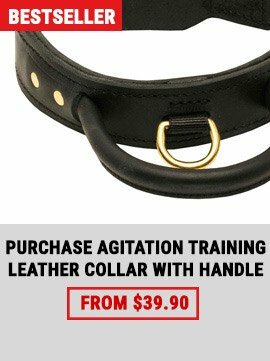 Special leather buckle protector saves a dog's fur from damages and comfy handle helps to maintain control over a dog while training.